Every day the media overwhelms people with photos of fitness and health ideals that they believe are optimal. Programs advocating weight loss are everywhere you look. The trouble with most of these particular programs is that they attempt to pigeonhole you into a small box and bend you into their own idea of what constitutes a perfect body image. Dr. Urshan is a weight loss doctor who knows that every one of us is unique with our own unique histories and backgrounds. At our Health and Weight Loss Center, we promise you that we will treat each and every person as individual and unique! For long-term success, a personalized program is necessary. 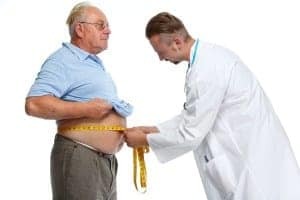 Our weight loss doctor uses a state-of-the-art weight loss technology which scientifically grants your body permission to tell us exactly what it needs, without any guessing on our part. There are many possible benefits of working with our weight loss clinic. You can reduce your risk of high cholesterol, reduce your risk of diabetes, boost your metabolism and target your abdominal fat**. A free consultation at Dr. Urshan’s Health and Weight Loss Center can be the beginning of a newer and fitter life for you. Dr. Urshan has over 30 years of clinical experience. After receiving a doctorate at Parker Chiropractic University, he has committed himself to assist people who want to overcome their weight issues through the very exciting and effective weight loss system. Our weight loss doctor and his team are standing by to help you in St. Petersburg, Clearwater and neighboring territories. Contact us today, and let us help you reach your fitness and weight loss goals.